My heart really felt heavy when I left El Nido. And I am not saying this cause I’m being cheesy or anything. 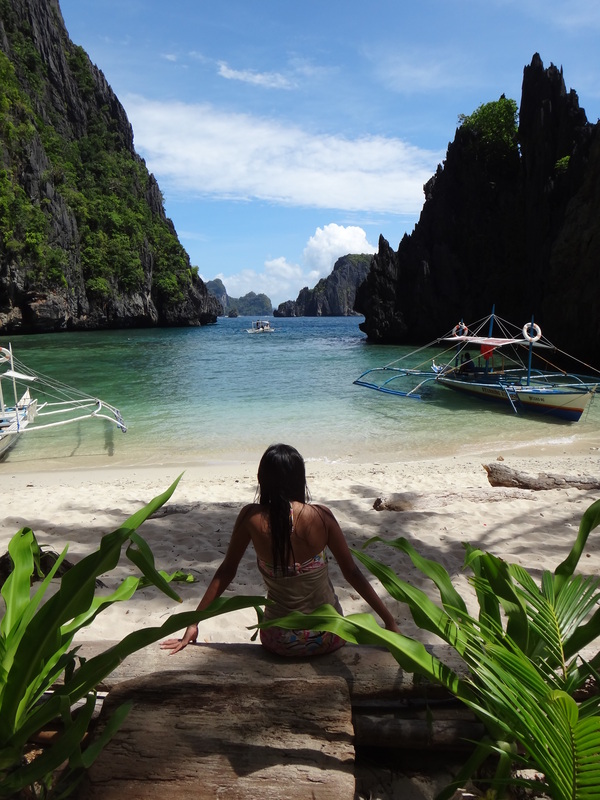 Truly, El Nido has captured my heart that morning as I walked on the beach, just basking in the calmness of the sea. The islands had such an effect on me that I just couldn’t stop myself from gazing in awe. 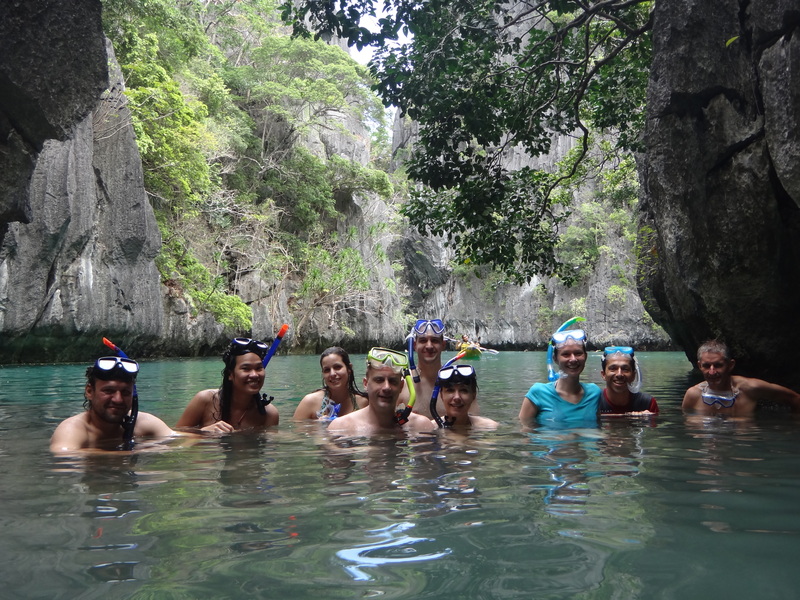 To top it all, meeting people from different places and seeing cultures blend seamlessly right before your eyes is but an icing on the cake for a memorable El Nido trip. I would say that being in El Nido was a blessing for me, a wake up call even. I went to El Nido thinking that I would be spending most of the time just staring at the ocean while the sea just stares back at me. You see, it was supposed to be a soul-searching trip. El Nido was supposed to be the place where I look back at the things I’ve done in my life and look forward to the new ones I’m about to do as I leave for India. Well, I did do the looking. But it wasn’t done by looking at the calm waters and feeling the wind in my skin. Self-discussion: Me 1: So, you really wanna go huh?! Me 2: I am Gera. The future awaits! My reflection happened as I talked with the different people I have met during my stay, some of them my van mates from Puerto Princesa to El Nido and vice versa, some from my boat mates during the group island hopping tour, and another set during my stay at La Banane hostel. The islands are lovely, no doubt. But more than the islands, the sand, sea and sky, I always look forward to the chance of meeting new people and having new experiences from the stories that they tell. If you’ve ever been the same kind of a traveler and a talker like me, I’m sure you’d understand the dynamics that happen on a trip, especially to a sought out place like El Nido. From the 6-hour travel to the grouping of guests in a boat and mixing of nationalities in never-empty-common-areas, conversations could be really interesting. Boatmates at the Small Lagoon: Can you figure out which is which? In a day, you’d find yourself talking to a French exchange student you sat with at the van and end up having dinner with a Russian space engineer who chose to become a truck driver. If that’s not your cup of tea, how about having breakfast with a girl who thought she lost her wallet coz of drunkenness only to find out that she gave it to a Swedish dorm roommate? Or would you prefer a Czech and Portuguese couple who just finds Philippines so amazing in a “WOW” kind of way?! I never wanted to leave and I so wanna go back!!! Not to mention a couple who looked sincerely in love with each other that their body’s action-reaction exactly matches that of the other?! Or, have you ever met a couple who looked so good together that they seem like people taken from a romance novel?! 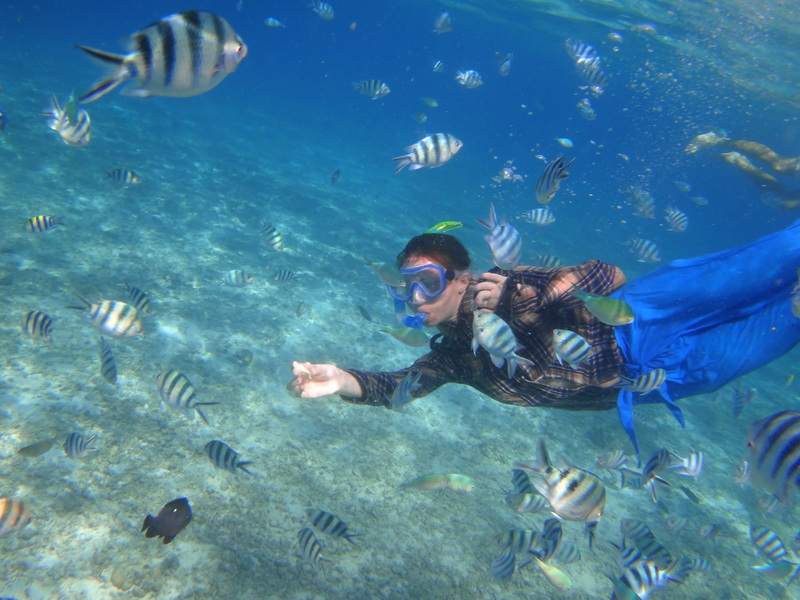 How about a lone guy traveler who can’t be bothered to go snorkeling since he has dived with barracudas while on a half-year-vacation-after-working-for-half-a-year?! If that still wouldn’t make for an amazing conversation for you, how about an English woman who left El Nido just to get more money and was sorely missed by everyone she met at the hostel?! How about meeting a solo American 9th-month woman traveler who’s so level-headed and who actually felt guilty for others who were really trying to talk to her in English and are finding it really difficult? Or, would you prefer having breakfast with the most soft-spoken couple you can possibly meet and dose them with tips and tricks for traveling in the Philippines?! Star of the Day! Everyone took turns in “styling” and photographing this shell! Alex is basically just chillin the whole day, as in sitting around, watching movies, drinking beer, swimming, and winking at (mastered the art of it!) and talking to people. And then, he gets drunk at night, partying, chatting and even falling asleep by the beach. 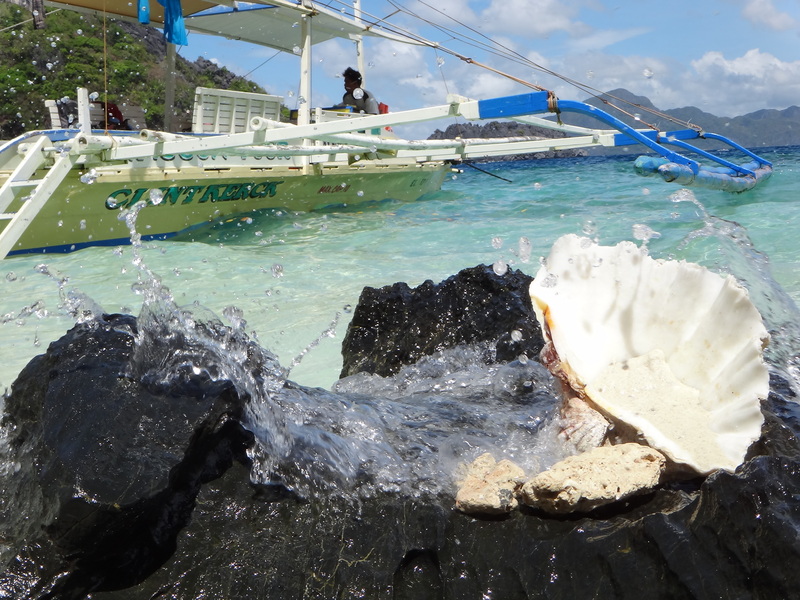 For some, it might seem like he’s not making the most of his time in El Nido, where people have the tendency to always go on island tours. But really, for me, it seems like he’s having a really great time. I liked talking to Alex coz he seemed so young but so experienced. Plus, he gave me a lot of tips on how I would be able to survive India. Best advice: Observe. Just be open and accept the way things are done. Let yourself be angry, coz you eventually will be, but never show it. Punch the wall if you like, cry if you want to, but never let them see you like that. Toughen up. And then Nadia. I like her spirit. Her vibe. Or whatever you wanna call it. 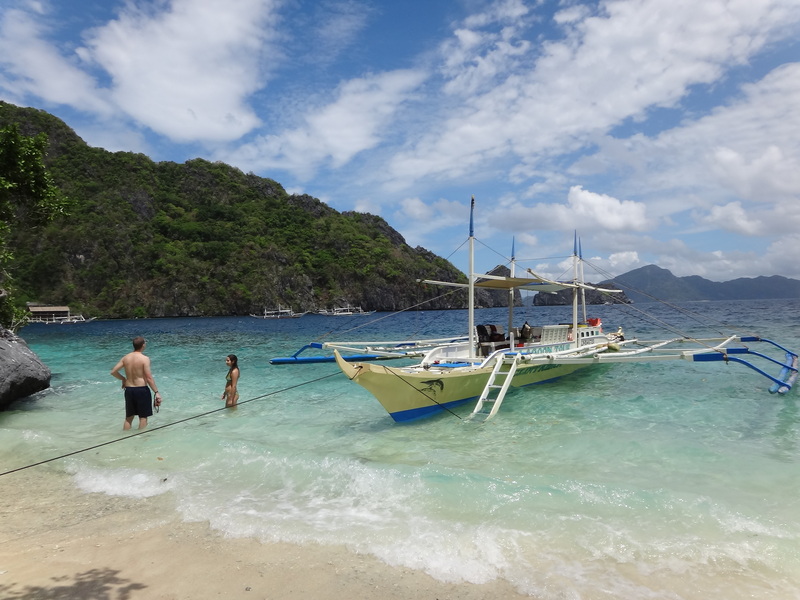 She loved El Nido so much that she canceled her flight to Manila and yep, to Geneva. She bikes around El Nido, kayaks, hikes cliffs, swims and just talks to the people she meet along the way. It’s like, she could stay in El Nido forever if only it was possible. She talks about teaching the kids, helping the locals and just generally doing things for the community while she enjoys life at the beach. She kind of helped me in my self-validation moment and in reaffirmed my stance. In turn, I encouraged her as well to do just that, what she wanted. Maybe she can be a social entrepreneur, help the community and protect the area, for her, the locals and the tourists’ sake. That was also when I made my first official proclamation–with the sand, sea and sky as my witness, I would like to become a social entrepreneur myself. I never imagined I would be saying this. But yes. I think that’s the path I am running towards. The next pit stop. It must be the answer I was looking for when I left for El Nido. When I began my journey as a VSO Bahaginan volunteer. Yes. It must be. I mean, really?! Can you resist the beauty of this paradise?! And with that, I made a promise. A deal made between me, the cool sea and the amazing rock formations. Before I begin that next journey, I’ll come back to El Nido. 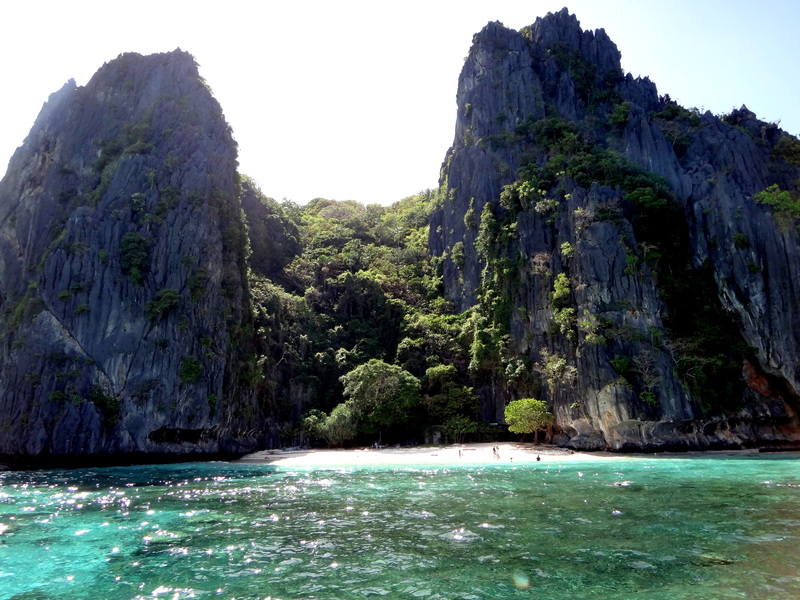 Not for any other reason than simply because El Nido is a paradise where promises are made and fulfilled. It’s a paradise–waiting for me, waiting for you. Hi Gera. Glad to have stumbled on your cool blog. 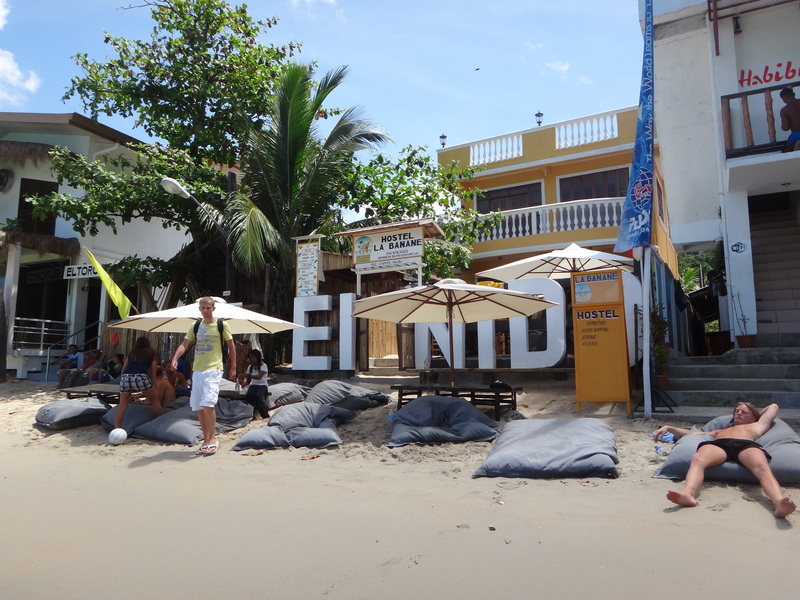 I’ll be going to El Nido this weekend and will be staying at La Banane. This post has greatly influenced me to choose La Banane as my accommodation for 2 days. Thanks!